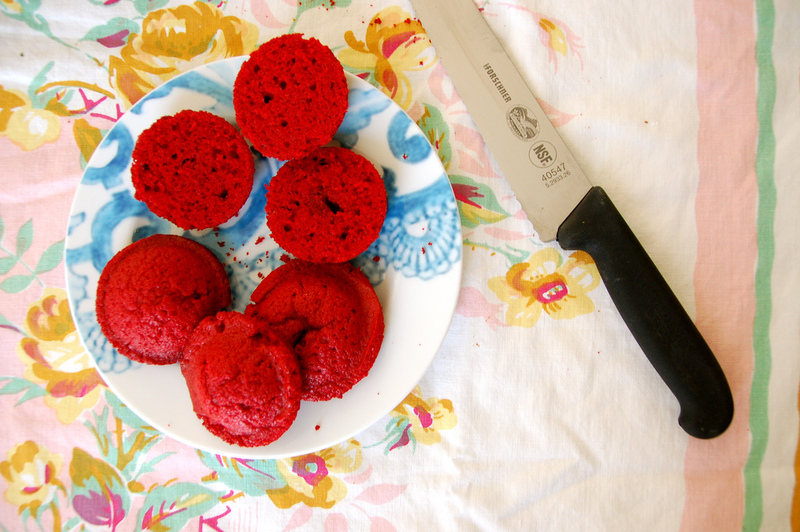 As readers, I am sure you know how much I love red velvet...cookies, cupcakes and brownies. 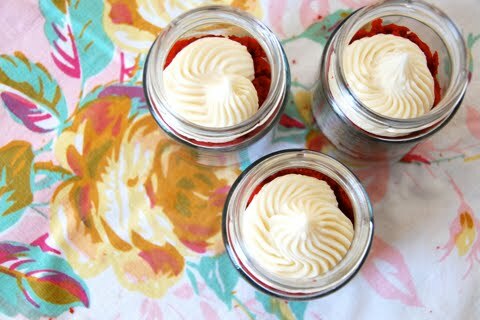 When I came across these red velvet cupcakes in a jar at an Etsy shop, I just fell in love with the idea. 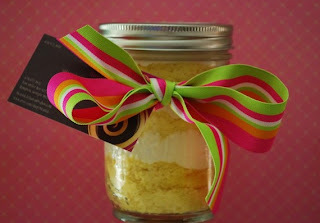 Great for gifting, parties and an opportunity to personalize it, what could be a better way to give a sweet treat? 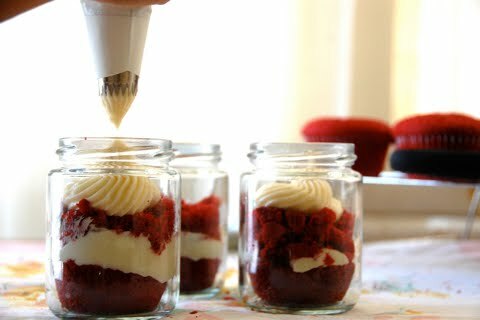 These cupcakes can be created easily at home: purchase a set of mason jars at your local KMart, Walmart, hardware or grocery store; ribbon can be purchased at a craft shop. The ideas are endless. Tie a wooden spoon with ribbon so your loved one can enjoy it immediately if they'd like. Create as many layers as you can. Choose your cake and icing flavor. 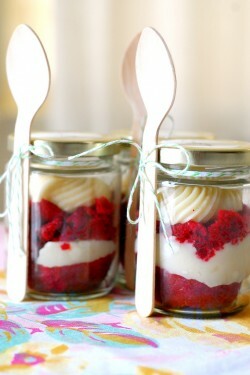 My favorite would definitely be the red velvet or lemon cake with lemon icing and chips. More tutorial tips here. Or you can purchase your cupcake-in-a-jar at this Etsy shop. Another great shop (photo featured below). They create cupcakes with a NYC name theme. Living in the UK? 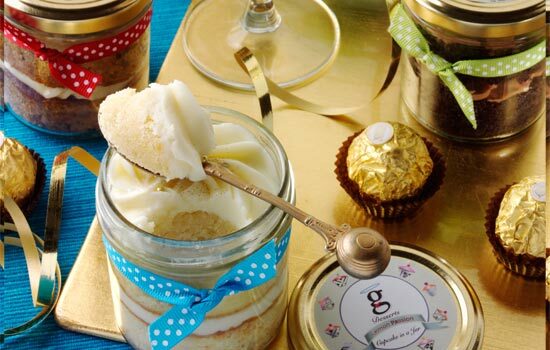 Purchase these yummy cupcakes at this UK online shop, G Desserts. Thanks for linking up at the new Relax & Make Friends Wednesday Blog Hop! I'm now following back. This is such a great idea. Yummy and soooo cute. 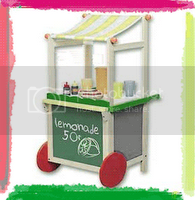 I hope you link it up at my new blog hop Thrifty Thursdays. Super cute cupcakes you have there, too! Very nice blog. Your pictures are making me hungry. I am your newest follower. 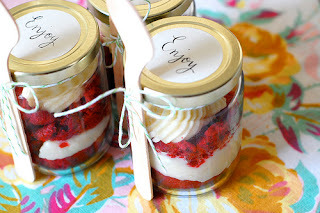 Found you on Thrify Thursdays blog hop. This sounds delicious! What a great Christmas gift idea! 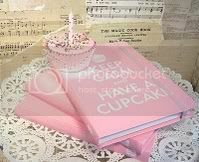 I think I would try chocolate ones, I love chocolate cupcakes! Hey Vanessa . . . hmmm I'm not sure if my last comment went through or not . . . if it did, delete this! This is a very clever idea with endless possibilities . . . 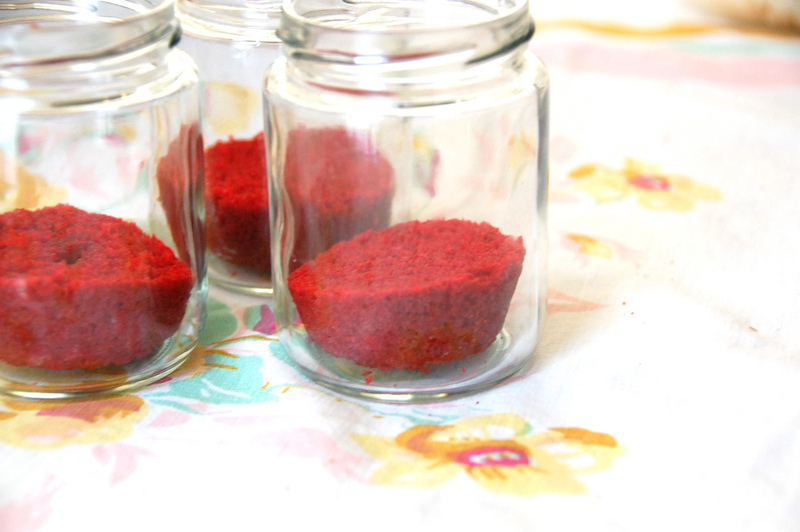 I love those kind of food projects! 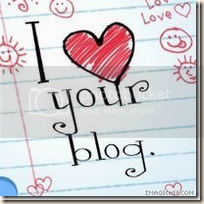 Thank you for following my blog . . . I'm following you as well.
. . . and many more blogs! I have always wanted to make these! So very cute! I love reading your comments! Questions are always welcome too! Restaurants, personal diet and healthy eating, recipes, gourmet foods, animals, books, personal fashion, travel and my steps in life along the way! 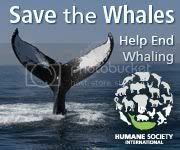 Freelance Writer, Teacher, Novelist, Children's Book writer, Screenwriter, Animal Rights Activist, Violinist, Cycling Instructor, Fitness and Healthy Lifestyle enthusiast.